Teenage Mutant Ninja Turtles has arrived on Blu-ray and DVD just in time for Christmas. And it's sure to be played on repeat throughout the holiday season by its younger fan base. But there are those older fans who have been with the franchise since its inception, and while everyone agrees that producer Michael Bay and director Jonathan Liebesman got the four sewer-dwelling brothers right, there are a whole lot of other things they got wrong. One of those things is the way Shredder is handled. As Teenage Mutant Ninja Turtles makes its way to the home market, we were able to catch up with star William Fichtner, who plays Eric Sacks in the remake, and he offered some new insight into the big screen evolution of the series' iconic villain, which he was at one time set to play. "That's true. It did change, didn't it? There are people that could speak better to that, and more eloquently than I. But that was originally the plan. 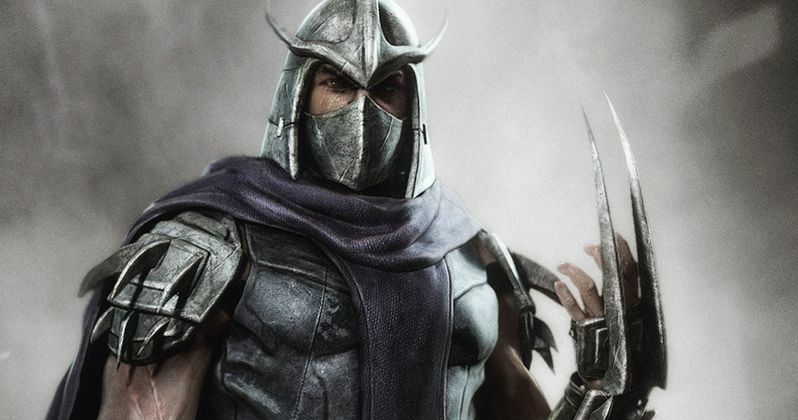 That Eric Sachs was Shredder. As we made the movie, there were some thoughts about telling the story in a different way. The producers would probably be better at explaining that. But what I really wanted to do was find the character of Eric Sachs. When the changes do come along, we ultimately incorporate them and make the movie work. I know that sounds like a very vague general statement to your question. But it is the bottom line. For me as an actor, if there are changes that come along because they think the storytelling might be better in one way or another way, I'm fine with that, you know? Ultimately, we made a little bit of a different movie that first go-around. Then we had some changes. I'm happy to say that when I saw the film for the first time, at the premiere, I thought, 'Okay! This is a better movie.' It was a different movie, but a really good movie. At the end of the day, that's what everyone wanted and I did too." "I honestly know nothing about that. I don't know what the future plans are for Turtles 2. I know it sits on a table. Its on the table. If it happens, I've heard that I will be in New York again. Which is just amazing, to be back in my city to work on it. Hey, it will be a surprise for me...Whatever goes on in the next one..."
Do you think William Fichtner's Eric Sacks should assume the role of Shredder in Teenage Mutant Ninja Turtles 2? Or do you want to see Tohoru Masamune pull himself out of the pavement and continue on with the role?